According to news , Iran teachers union asked all the teachers from all over Iran to go on protest on this coming March first. Because of this , regime decided to filter ( not making it available ) all the related website they suspect will be reporting or monitoring the protest. Iran teachers union released a statement about this coming protest on " The Teachers & Workers Rights " website. 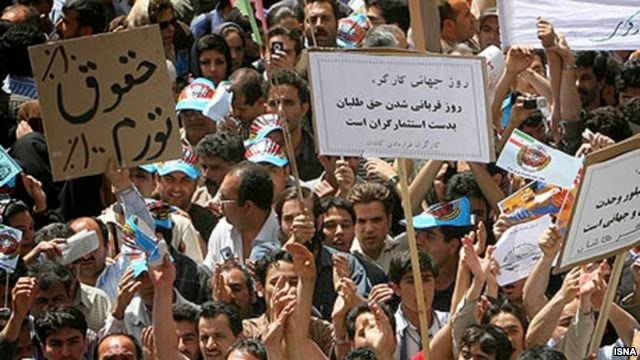 The statement says: The teachers in Tehran will protest in front of the parliament and asked teachers from all over Iran to protest in front of their related Government buildings in their city's . This protest is going to be a " Silence Protest " . And the protest is about the difficulties workers face with the Ministry of Education. Younesi : The Human Rights Violation in Iran is Because of the Radical Elements are on high position ????!!!!! "The radical elements on high position are making problems for the Government , therefore we must get rid of these radical elements from those top positions. He also added that , the radical groups are not under any organizations . In relation with the incidents of Zahra Kazemi ,we have all the documents which shows who were behind that incident , and of course , the justice of God were executed on some of those who were behind the case , and that incident was the personal will , which we still have to pay the price for it . What Faezeh Hashemi Rafsanjani said in her interview with Le Figaro About Individual Freedom and Media Freedom During Rohani's Presidency ! 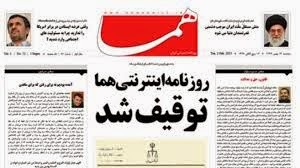 Le Figaro: Did the individual freedom and media freedom which was less during Ahmadinejad presidency became better now ? In this regards the situation became worse when Rohani was elected . The state released some of the political prisoners and journalist after the election of Rohani as president. But right now we are witnessing that the newspapers are banned and the journalists and the political prisoners are being sent behind the bars. 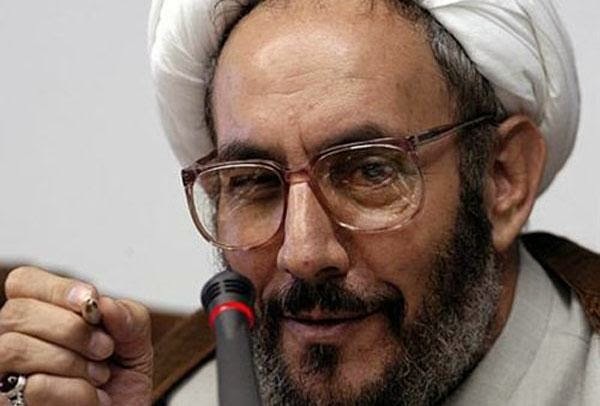 The state demanded that the media should not say anything or write anything about Mohammad Khatami , which is an illegal act, and this is while he did not say anything about the regime change , this short coming on freedom is because of the opposition of the Majlis ( Parliament ) . When in the city of Isfahan few elements pour acid on the women faces and no one were arrested , is not a good sign, but one must not come to conclusion that, despite of all these disappointments, the fall of the regime is close , undoubtedly we face with enormous difficulties, but no one is for a new revolution, even after 2009 events ,the people are just for changes. Clashes Between 3000 Followers of the Imprisoned Mohammad Ali Taheri with Plain cloths security forces of the Islamic Regime in Iran. 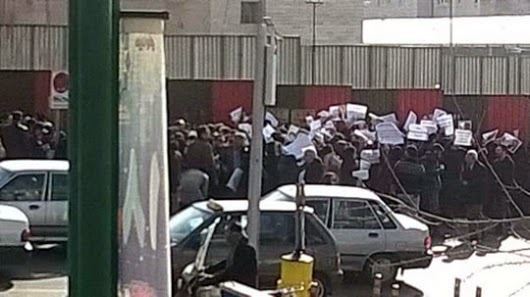 Based on a report by " Peace Campaign Activists in Exile", 3000 followers of the Imprisoned Mohammad Ali Taheri ( the founder of the " Erfane Keyhani " - The Circle) on Wednesday morning staged a peaceful protest against the trial of their leader in front of the court of revolution at Shariati-Moalem intersection in Tehran , which ended up with 70 followers being arrested by plain cloths security forces of the Islamic regime in Iran. Regime anti riot forces used teargas in this peaceful protest and clashed with protesters to disperse the protesters. 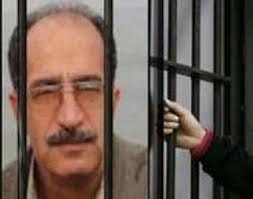 Mohammad Ali Taheri the founder of "Erfane Keyhani - the Circle " was arrested more than three years ago and was kept in Cell No. 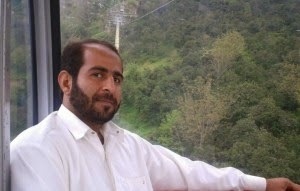 2- Alef in Evin prison and he faces continues torture by Sepah Intelligence . Earlier he was sentenced to 5 years imprisonment and and 74 lashes plus 900 million Tuman fine for his charges which was" corrupt on Earth " / developing ideas against the main stream religious beliefs. Mr. Taheri's lawyer is Alizadeh Tabatabaei . Based on a report the trial is adjourned to future date . And some of those arrested were later released. GENEVA (18 February 2015) – The United Nations Special Rapporteurs on the situation of human rights in the Islamic Republic of Iran, Ahmed Shaheed, and on extrajudicial executions, Christof Heyns, today urged the Islamic Republic of Iran to halt immediately the execution of Saman Naseem, a juvenile offender, reported to be scheduled for tomorrow. Mr. Naseem was convicted of Moharebeh (‘enmity against God’) and Ifsad fil Arz (‘corruption on earth’) for his alleged involvement in armed activities on behalf of the Party of Free Life of Kurdistan (PJAK). Mr. Naseem, 17 at the time of his arrest in 2011, was allegedly subjected to torture and made to confess to a crime before he was sentenced to death in April 2013. The Supreme Court reportedly upheld the sentence in December 2013. “Regardless of the circumstances and nature of the crime, the execution of juvenile offenders is clearly prohibited by international human rights law,” the independent experts stressed. The experts also recalled repeated assertions by the Iranian authorities that confessions obtain under torture were inadmissible under Iranian law. The experts requested the Iranian authorities to halt the execution of Mr Naseem in strict compliance with its international human rights obligations, under the International Covenant on Civil and Political Rights and to the Convention on the Rights of the Child, to which the country is a party. The experts expressed serious concerns over the increasing number of executions, including of women and political prisoners and renewed their call on the Government to immediately stop them. Over 700 persons, including 14 women and at least 13 juveniles are believed to have been executed last year. At least 60 persons, including four women have reportedly been executed in January 2015 alone, with a considerably large number of people including juveniles currently at risk of execution. Appalled by the surge in executions, the Special Rapporteurs urged the Government to immediately establish a moratorium on the execution with a view to abolishing the death penalty all together. “The imposition of the death penalty in Iran contrasts the current international trend of abolishing the death penalty in law and in practice,” they noted. The American journalist Austin Tice disappeared in Syria in August 2012. He is alive and not held by ISIS, according to diverse credible sources. You can take part in the #FreeAustinTice campaign by signing the petition addressed to President Obama and by taking The Blindfold pledge, a symbol of Austin's unanswered kidnapping. Take a photo of yourself blindfolded and share the call to action on your social media accounts. Facebook/Instagram: "I take the Blindfold Pledge to raise awareness of the 2012 kidnapping of the American journalist Austin Tice. This is a plea to the US government to seek out answers and bring Austin home. I call on _____ to also take the pledge. #FreeAustinTice". Twitter: "I wear the blindfold to #FreeAustinTice. I call on ____ to take the pledge". Twitter : "The American journalist Austin Tice disappeared in Syria in 2012. Help us to bring him safely home. 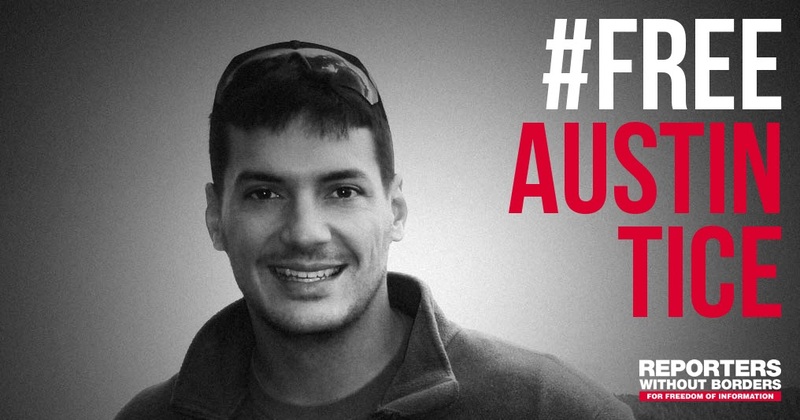 Sign the petition #FreeAustinTice". When journalists are silenced, we are all deprived of information, we are all blindfolded. Prison authorities were scheduled to execute Saman Nasim early yesterday. Nasim, a 22-year-old from Iran’s Kurdistan province, was arrested when he was 17 for terrorism-related charges. A day later, there is still no official confirmation of the execution. One of his brothers reportedly believes the execution has been carried out, and his other brother told Human Rights Watch the authorities only instructed the family to come pick up Saman’s belongings. In an interview with Voice of America’s Persian-language service, a third family member said authorities told her they transferred Saman to another prison on Wednesday. She added that she did not know if he was still alive. All this, of course, obscures the fact that Iran is a state party to international treaties that ban the execution of child offenders. This guessing game is the sort of torture that Iran regularly inflicts, not only on those languishing on death row, but on their family and friends. It is both the result of the judiciary’s lack of transparency regarding executions of high-profile detainees, and their practice of pressuring families to not speak to the media. The psychological anguish on families is unimaginable. It is possible, as we’ve learned from other cases, that officials have informed the family, even delivered the body for burial, but have threatened them to keep quiet or pressured them not to hold a funeral. But it is also likely that the family, like the rest of us, remains in the dark. We have documented cases in which judicial officials refused to inform family members about the status of their loved ones for months, never delivered the body, or secretly buried an executed prisoner. Anything is possible, and little is predictable, when it comes to the brand of “justice” meted out by Iran’s revolutionary courts. Except, it seems, their utter disregard for the rights and dignity of defendants and their families, living or dead. It’s hard to ignore the fact that authorities have a lot to gain from this lack of transparency, and the swirling rumors, some of which they may help spread. They must know that responsible journalists and rights groups will do their very best not to spread unsubstantiated rumors. Their credibility is at stake. So officials can afford to sit back and wait for the rumor mill on social media to feed off itself, the news swell and advocacy campaigns around this young man to die down, and the world to move on to the next tragedy. Somewhere else in the world. Despite of International Out Cry To Stop the Execution of Saman Nasim ,But Islamic Regime in Iran Executed this Political Prisoner! According to a report made by Kamal Hoseini an independent journalist with Radio Farda , in a telephone conversation he made to Saman Nasim's brother , the brother was said , they were told to go on Saturday ( Tomorrow ) to pick up the body of his brother and his personal belonging. Saman Nasim was a political prisoner and a member of Pejak ( An armed Kurdish group) . There are news that two other political prisoners also been executed together with Saman in Orumieh prison. According to International organization ,at the time of trial Saman Nasim was only 17 years of age. In addition the Islamic Regime in Iran has executed two other political prisoners , Habib Afshari and Ali Afshari two brother members of Kumeleh Kurdistan political party. The report by International Campaign against Execution has confirmed this . According to Campaign the ministry of Information called Afshari's family and told them about the execution on early Thursday morning. Security forces in Iran threatened both family members not to speak to anyone . In an Attack By Security Forces on Bahai Citizens in the City of Tehran & Isfahan 14 Bahai Are Arrested ! According to a report on last Tuesday evening at least 14 Bahai citizen ,seven women and seven men in the city of Tehran and Isfahan are arrested by security forces of the Islamic Republic regime and there are no news on their whereabouts .
" Nohe Day " Paper is banned from publication ! According to news the " Nohe Day " paper went under investigation by media watch dogs and according to them , the " Nohe Day " paper violated the media by law . The publication was charged for " insulting the Khomeini " and violating the "nuclear issues" policies . 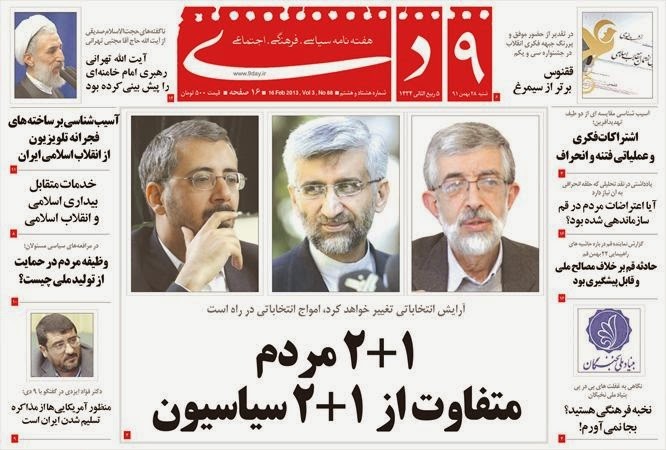 The publication in one instance wrote : " Every steps of Zarif ( Meaning Mr. Zarif the foreign minister negotiation about nuclear issues with 5+1 ) destroys 100 Kilo Grams of saved Uranium ". In another instance It wrote that: Mr. Ali Akbar Velayati ( The former foreign minister) for continuing the policy of Rafsanjani , forced Imam/ imposed his policy on Imam ( Khomeini ) to agree with peace and accept the resolution 598 ( to end Iran - Iraq war ). The publication is also charged with blackmailing Mr. zanganeh the oil minister of Rohani Government for corruption. Based on the past violations of the paper and the current one, the case file of the paper is sent to the court for judiciary procedure. 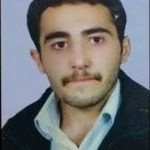 This Iranian-Kurdish Young Man Is going to be executed tomorrow ! According to reports , the prison officials have told Saman Nasim that he is going to be executed by tomorrow Feb. 19,2015. Saman Nasim's story has appeared in the past in IRAN WATCH CANADA and human rights organizations like Amnesty International and Human Rights Watch also wrote story about him . You can see all these stories in the past posted reports in IRAN WATCH CANADA . Don't Let Islamic Republic regime in Iran to hang this young man by tomorrow ! Jafar Panahi Iranian Film Maker : We Are Not Allowed to Show Our Film in Iran ! Jafar Panahi the international award winning film maker who was arrested two times after the presidential coup in 2009 and is sentenced to six years imprisonment and 20 years ban on film making and is banned from leaving Iran says, we are not allowed to show our film inside Iran and the Islamic Republic has a political view on Cinema & films . 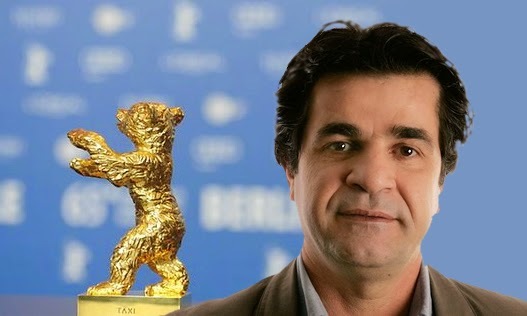 Jafar Panahi's recent film " Taxi " on Saturday won the Golden Bear from the 65th Berlin International Film Festival . 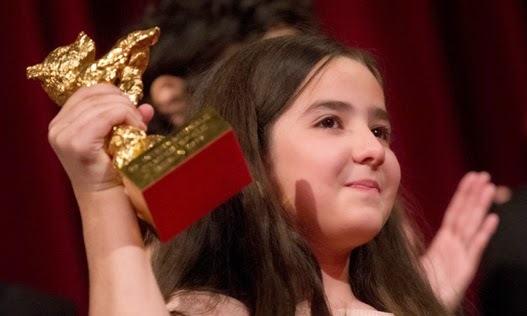 Jafar Panahi was unable to attend the Berlin festival to receive the award, instead his niece who have also played in the film attended at the festival and received the award. Mr. Panahi in response to an Iranian film & cinema official ( Mr. Ayoubi) who have sent a letter to organizers of Berlin film festival and told them that; Panahi is free and is not allowed to make film ( while he is making his films) but by showing his film the Berlin film festival making the Islamic Republic bad to the audience . And Jafar Panahi in response to Mr. Ayoubi said; Mr. Ayoubi talks beautiful but still we are not allowed to show our film inside Iran . With an Order by prosecutor The " Ramze Obour " is Banned from Publication ! 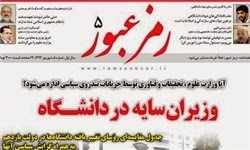 According to news reported by Fars News Agency the " Ramze Obour " publication is banned from publication by an order by Tehran prosecutor . The latest Reporters Without Borders World Press Freedom Index is now available online. Top of the 2015 Index are Finland, which has been in first place for five years in succession, followed by Norway and Denmark. At the other end of the scale, Turkmenistan, North Korea and Eritrea, in last place, were the worst performers. France is ranked 38th (up one place), the United States 49th (down three places), Russia 152nd (down four places), Iran 173rd (unchanged) and China 176th (down one place). The 2015 Index is accompanied by analyses of recent developments. In which countries are charges of blasphemy used to censor any form of criticism? 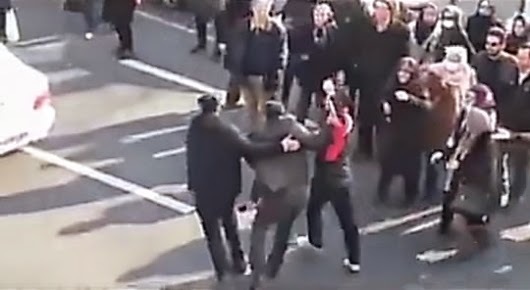 How did the coverage of demonstrations in countries such as Ukraine and Hong Kong become the occasion of an increase in violence against journalists? Why are European Union member countries falling in the Index? The Index is the fruit of Reporters Without Borders' constant work in defence of media freedom, the result of its day-by-day monitoring of freedom of information violations. Support Reporters Without Borders. Both Human Rights Watch and Amnesty International called to Stop the Execution of Saman Naseem who was 17 when committed the crime. Iranian juvenile offender, Saman Naseem, could be executed as early as 19 February 2015 for crimes allegedly committed when he was 17 years old. He was sentenced to death after an unfair trial. 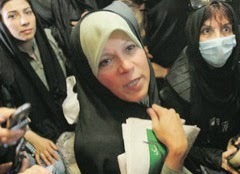 Islamic Regime in Iran Using Chicken Facility for Women Prisoners !? Human Rights Violations - Islamic regime in Iran is keeping 2000 women prisoners in a inhuman Chicken Facility without proper health and safety. It was report in the media more than three years ago when for the first time Gharechak prison in the city of Varamin was named as women prison . Since then almost all criminal women prisoners from Evin and Rejaei Shahr prison were transferred to Gharechak prison in the city of Rey . 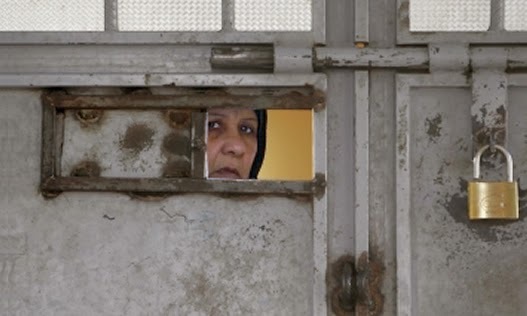 Among these criminal women prisoners there were a few women political prisoners who were transferred from Evin prison including Hakimeh Shokri and Atena Farghdani. It was these women political prisoners who have first brought the issues of this prison in to the radar . This prison is made up of several chicken cages with intolerable air quality and conditions. This prison is in fact a big area with lack of proper roof and wards and no healthy environment. 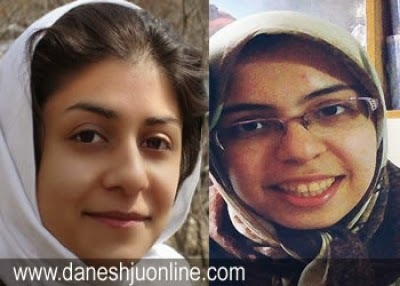 Iranian Students To Regime : Release Our Colleagues From Prison ! 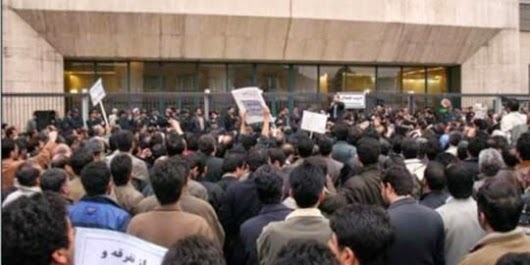 Students Still Deprive From Continuing Education Under Rohani's Presidency ! According to news in recent day students demonstration have intensified . In one instance from Polytechnic University more than 140 students by writing a statement demanded their colleagues Ms. Zahra Khandan and Saha Mortezaei be released immediately . Ms. Zahra Khandan is a journalist and student who is banned from continuing her education . In the past she was repeatedly harassed by Security forces at university and was arrested on Jan.19,2015 noon time at her house. Saha Mortezaei is also student of Polytechnic University and was arrested on December 20 and released but after release she have attended at stadium to watch games and was arrested and detained again. It should be noted that, Ms. Fereshteh Tousi another student from Alameh Tabatabaei is also arrested last week by security forces of the Islamic regime in Iran. 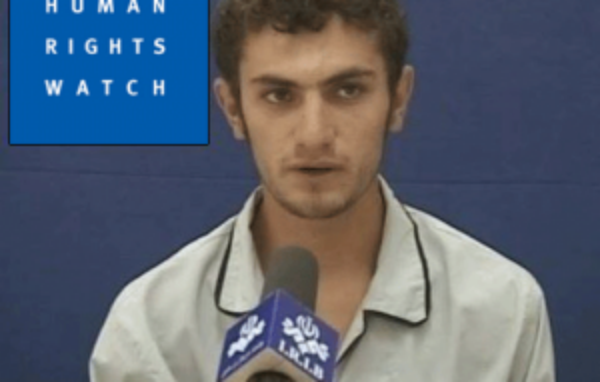 (Beirut, February 10, 2015) – Iran’s judiciary immediately should halt plans to execute a man convicted at age 17 of terrorism-related crimes for an armed opposition group and vacate his death sentence, Human Rights Watch said today. Iran’s Supreme Court affirmed the death sentence for the man, Saman Nasim, in December 2013. His lawyer and family fear that authorities may carry out the sentence in less than two weeks despite an absolute ban on the execution of child offenders in international law. Iranian media reports indicate that Iran has executed at least eight child offenders since 2010. Reports by Amnesty International and other rights groups, however, suggest as many as 31 child offenders may have been executed during that period, making it one of the countries with the world’s highest number of reported child executions. Nasim’s lawyer and a source close to the family told Human Rights Watch that they have received information suggesting that the judiciary’s implementation division has cleared the path for Orumiyeh prison, where he is being held, to execute him on or about February 19, 2015. A revolutionary court in Mahabad, in West Azerbaijan province, convicted Nasim of moharebeh, or “enmity against God,” in April 2013 for of his alleged membership in the Kurdish armed opposition group Party For Free Life of Kurdistan (PJAK), and for carrying out armed activities against Iran’s Revolutionary Guards. According to documents reviewed by Human Rights Watch and Nasim’s lawyer, he was 17 at the time of his arrest in 2011. The Supreme Court initially overturned a lower court death sentence in August 2012, noting that he was under 18 at the time of his arrest, but ultimately affirmed the death sentence. Aziz Mojdei, Nasim’s lawyer, told Human Rights Watch that the execution on or around February 19 is “very likely.” He said he has seen an official letter clearing the legal path to his client’s execution on or around February 19 although judiciary officials have repeatedly denied plans to execute his client. Mojdei said officials in the judiciary’s implementation division have unlawfully prevented him from thoroughly reviewing the case file for information about the impending execution even though he is the attorney of record. Human Rights Watch has previously documented cases, particularly for national security crimes such as moharebeh, in which prison officials executed detainees without warning their lawyers or families and refused to deliver the body to the family. Security forces arrested Nasim on July 17, 2011, after he and several other PJAK members allegedly were involved in a gun battle with Revolutionary Guards in the mountains surrounding Sardasht, a city in West Azerbaijan province. Court documents, which Human Rights Watch reviewed, allege that one Revolutionary Guard member was killed and three injured. Mojdei told Human Rights Watch that forensic experts established that Nasim had not been responsible for the killing, but that he was nonetheless convicted and sentenced to death because he had engaged in armed activities on behalf of PJAK, considered a terrorist group by Iran and several other nations, including the United States. The source close to Nasim’s family told Human Rights Watch that Nasim spent the first few months after his arrest in incommunicado detention in a facility believed to have been operated by the Intelligence Ministry in Orumiyeh. The source said agents tortured Nasim, including beating and lashing him and pulling out his fingernails. In September 2011, Nasim made a “confession,” filmed and aired on state television, in which he said he shot at Revolutionary Guard members. Court documents reviewed by Human Rights Watch indicate that at his trial Nasim denied that he had shot at anyone during the July 17 clashes. On November 20, 2014, Nasim and 23 other prisoners in Orumiyeh prison began a hunger strike to protest prison conditions. In response, prison officials threatened to expedite the execution of Nasim and several of the others on death row, Amnesty International said. In Iran, 2013 penal code amendments prohibit the execution of child offenders for certain categories of crimes, including drug-related offenses. No prohibition exists, however, for child offenders convicted of murder or hadd crimes – for which punishments are fixed under Iran’s interpretation of Sharia law, including moharebeh. Under article 91 of the amended code, a judge may sentence a boy who is 15 or older or a girl who is 9 or older to death for these crimes if he determines that the child understood the nature and consequences of the crime. The article allows the court to rely on “the opinion of a forensic doctor or other means it deems appropriate” to establish whether a defendant understood the consequences of their actions. In January 2015, Iran’s judiciary issued a ruling requiring all courts to review death sentences issued for child offenders prior to the 2013 penal code, if defendants and their lawyers petitioned for review. The ruling applied to retribution crimes, including murder. Mojdei, Nasim’s lawyer, told Human Rights Watch that he has petitioned the judiciary and government authorities several times to suspend his client’s execution because he was under 18 at the time of his arrest, but that the petitions were either rejected or not answered. According to official sources, Iranian authorities executed at least 200 prisoners in 2014, though the real number is thought to be over 700. In 2014 at least eight may have been under 18 at the time of the killings or rapes that led to their death sentences. Human Rights Watch is investigating these cases to determine whether those executed were, in fact, child offenders. 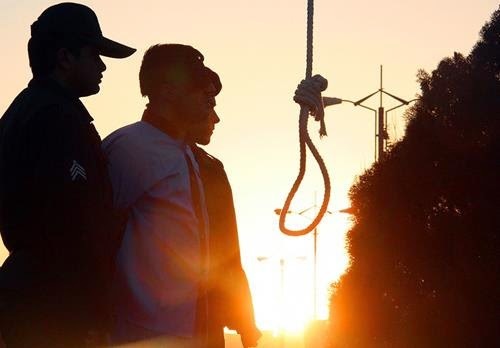 In 2012 Human Rights Watch called on the Iranian government to amend its penal code to impose an absolute prohibition on the death penalty for child offenders. 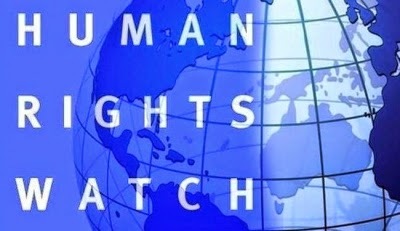 Human Rights Watch has also called on Iran’s judiciary to impose a moratorium on executions due to serious concerns regarding substantive and due process violations leading to the implementation of the death penalty. Human Rights Watch opposes the death penalty in all circumstances because it is an inherently irreversible, inhumane punishment. The leadership of PJAK and other armed groups operating in Iran should immediately stop recruiting children, whether for military or non-military purposes, Human Rights Watch said. On June 5, 2014, a Syrian Kurdish military leader announced that the group would stop recruiting children, saying that the armed group would demobilize all fighters under 18 within a month. The internal regulations for the Kurdish police and military forces forbid the use of children under 18. According to news coming from Iran, Mohammad Reza Pourshajari the Iranian blogger has started the hunger strike from today in Karaj central prison. Mr. Pourshajari went on hunger strike in protest against his prison condition, what he called as " Suffering Pain and injustices " . Mr. Mohammad Reza Pourshajari 51 ,was writing his blog ( Report to Iran ) by nickname Siamak Mehr . Mr. Pourshajari was arrested at his home in September 2009 and was transferred to Rejaei Shahr prison and spend time in solitary confinement and was for seven months under tortured and became ill due to tortures and the judiciary has charged him with activities against national security and insulting the leader of the Islamic Republic . This blogger is suffering from various illnesses including heart problems, diabetic , Stomach pain , back Disc problem, and many other physical problems. A Mothers Request From Human Rights Organizations and UN Reporter in Iran About the Fate of Her Son ! According to a report by HRANA ( a Human Rights Organization) an Iranian Blouchi mother requesting from all human rights organizations and UN reporter about the fate of her son Mr. Sediq Bahramzehi An Iranian Red Crescent employee who was arrested in the morning of Jan. 4,2015 together with close to 30 others in Nasirabad village near Sarbaz city and there is no news what so ever about the fate of him and others since then. Balouchestan province is an impoverished province in the South of Iran close to Afghanistan and Pakistan. Their arrest came to a surprise when a member of Basij organization from the area ( a regime militia organization ) was assassinated . It was in the morning praying time on Jan.04,2015 when the police forces attacked the house and arrested all the men including the cousin of my son , searched the rooms and took away their cell phones and when we asked where they are taking them , they answered for a few questions and since then we didn't hear from him. According to news ,Mr. Ramin Rezaei a human rights activist from the city of Takab , on a summon attended at prosecutor's office in Tekab city and was arrested for his 91 days incarceration sentences . Upon his arrival on Tuesday Feb.4,2015 at Takab city prosecutor's office, he was arrested and was transferred to Mahabad city prison. Mr. Rezaei was arrested in the past ( Three years ago) and was sentenced by judge Ahmad Javadi Kiya to 91 days imprisonment. The Internet " Homa " News Website is Banned from activities ! Mr. Hamed Doroudian is the manager of the Homa internet news website. Mr. Doroudian said: "we are an internet news website " . Homa is a gift given by the supporters of Mahmoud Ahmadinejad to him . 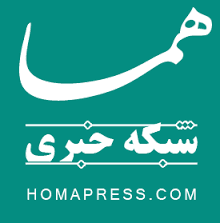 According to officials of Homa internet news website , the media and culture division of Tehran prosecutor office announced that,the Homa internet website is banned because of not having licence for activities. 1-200 workers of " Mese Khatoon Abad" ( Khatoon Abad Copper workers) in the city of Kerman gathered in front of Provincial governors office and protested for job security . 2- 200 Workers of Varamin sugar factory staged protest at the entrance of factory against factories closure and delay in payment and becoming jobless. 3- Cement factory workers of Mehriz Trading stopped working for two days demanding the two managers who have insulted the workers be removed from their posts. Also the workers from water & sewage system in the city of Ahwaz gathered in front of their office for four months delay in their wages. 4- 1400 workers of Tazre Mine in the city of Shahroud protested for their four months in delay of their wages. 24 Iranian are Summoned for Facebook Activities and 12 of Them Are Detained by Cyber Division of Revolutionary Guard ( Sepah) ! 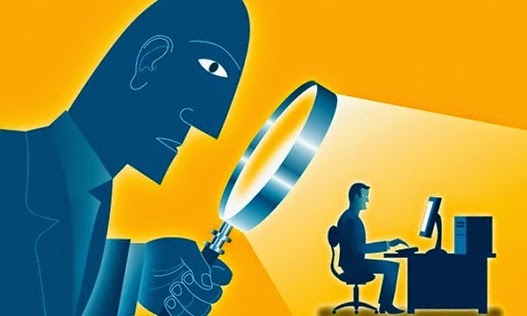 According to news the cyber division of the revolutionary guard ( Sepah) has arrested 12 Iranian for Facebook activities . They have also summoned 24 Iranian for their Facebook management and activities. Cyber division of Sepah has announced ,it has identified 350 Facebook pages which were doing activities contrary to the state laws. 130 out of 350 had been shut down completely.